Though it looks like a school photo backdrop, the lush garden behind me is the real deal, and served as an idyllic setting for a midsummer garden party. In late August and September, my social media feed is always filled with the back to school pictures of my friends' children, and I genuinely enjoy seeing how they've changed from one school year to the next. This year I'm looking forward to them more than usual in hopes they'll offer a temporary respite from an unending barrage of political rhetoric, which isn't always respectful and all too often downright ugly. 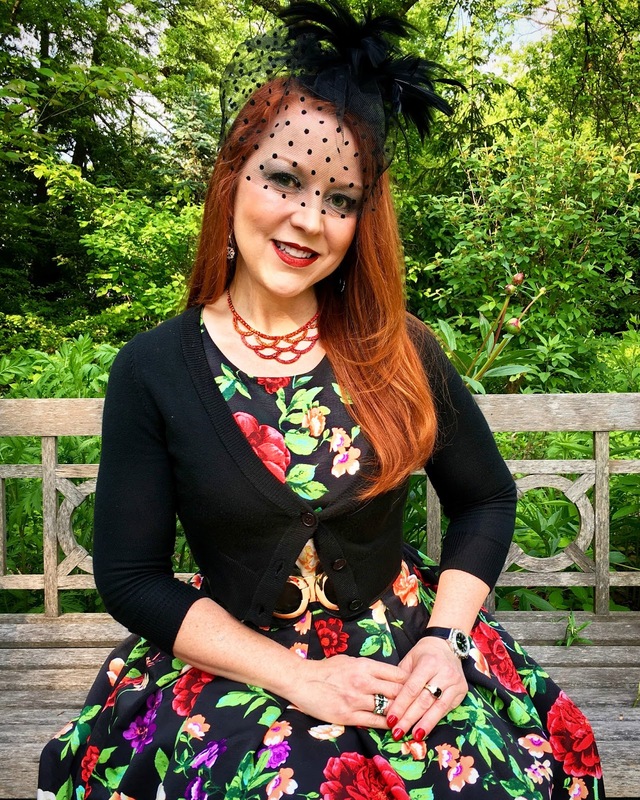 I couldn't resist topping this floral faille dress from ModCloth with a whimsical cocktail hat featuring a Swiss-dot birdcage veil that echoed the embroidered tulle trim along the dress's hem. All those back to smiling faces also remind me of my own school days, and how much simpler life was before I had to get good at "adulting." I wouldn't want to do childhood over again, but I certainly miss Summer breaks; back to school shopping; and regular sleepovers with girlfriends. Of course, being a kid is not all sunshine and butterflies. Kids can be mean, and sometimes their behavior toward peers who don't look or think like they do is just as ugly as the many Facebook feeds I've had to hide in this election cycle. 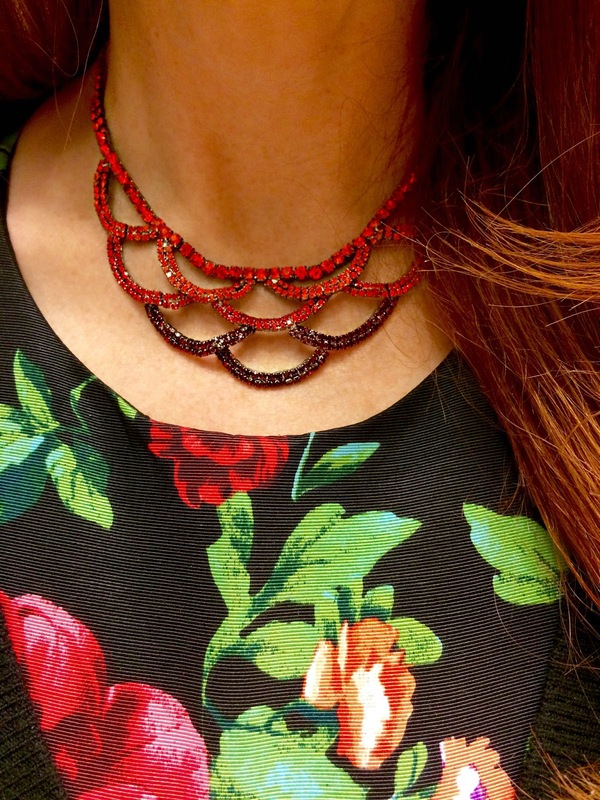 An ombre rhinestone necklace from local boutique Ginger 'n Spice. Life is never without evils, whether we're 7, 27, or 77. But, imagine a world without terrorism; without bullying; without crime? Can you even...? American artist Alexander Calder could. In fact, he spent a lifetime creating "a world in which there is no evil” through his art (among his many creations was the mobile - the kind that hangs over a baby's crib, not the kind we all have glued to our ears). And now, my friends Tom Alvarez and Dustin Klein are bringing Calder's peaceful, whimsical world to life in a new musical that will debut this month at the Indy Fringe Festival. As described on the show's website, "Calder: The Musical" explores the power of ideas and imagination"; as well as "Calder's deep conviction that—in a world filled with discord, violence and war—art has the power to inspire peace." In a lush garden filled with wildflowers, friends, and fine food, it was easy to imagine Calder's world. 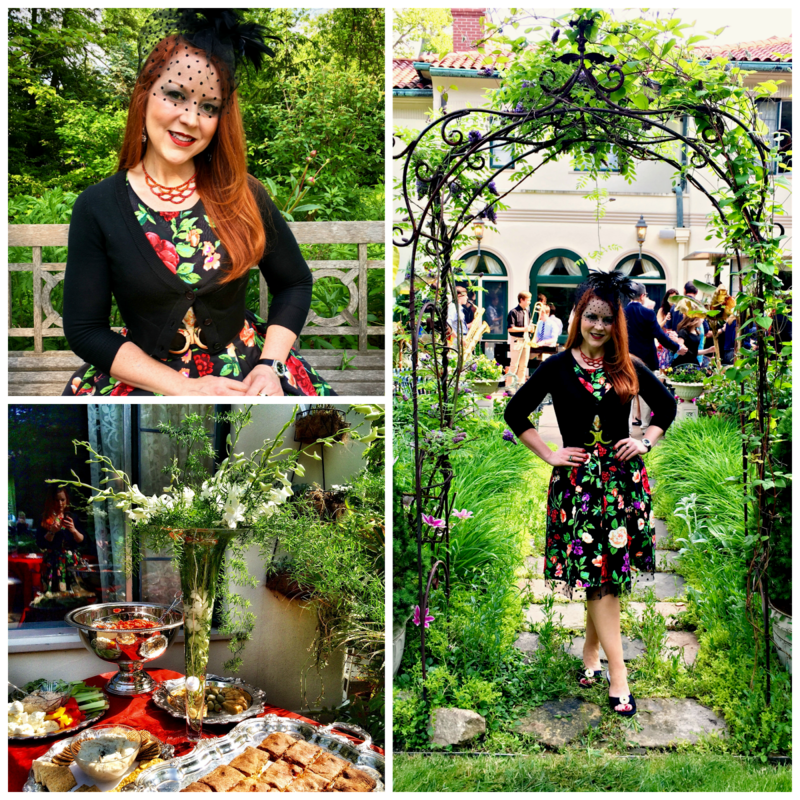 I was fortunate to get a preview of the family-friendly debut production from lyricist Tom and composer Dustin at a garden party last month, where I wore this fun floral faille dress from ModCloth paired with my own nod to whimsy through a small cocktail hat with a Swiss-dot birdcage veil that echoed the embroidered polka dots on the dress's tulle trim. For that perfect, sunlit afternoon amongst friends, fine food and flowers,the stellar cast transported us, however briefly, into Calder's "world without evil." I can't wait to escape to that world once more when I take in the full production during the Indy Fringe Festival later this month. You can find out more about the production here, and get your own tickets here. 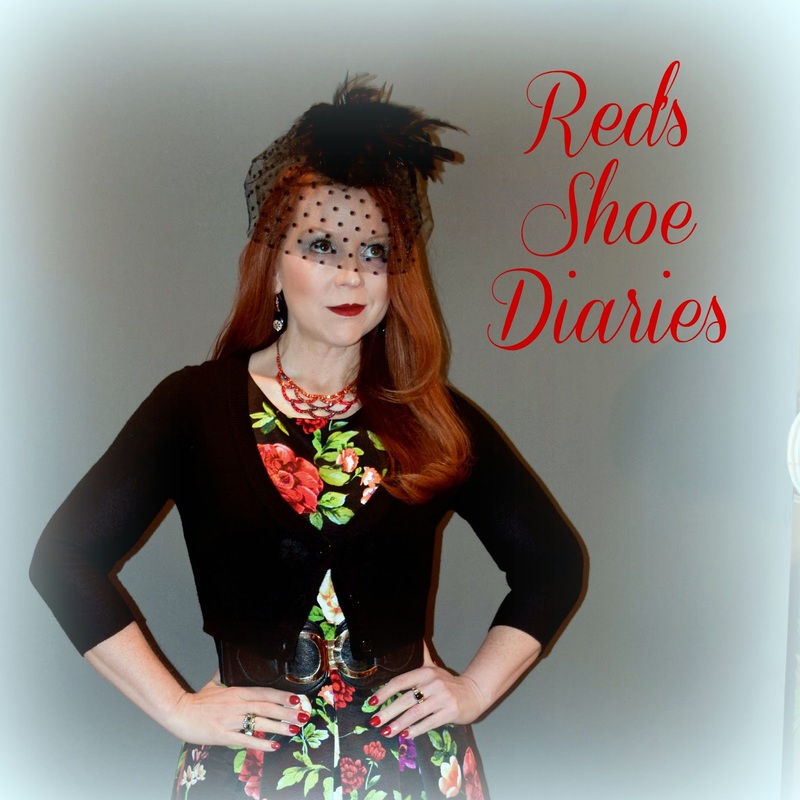 I'd love to see you there! Thanks so much, Elizabeth! With luck, Calder The Musical will grow wings and you'll one day get a chance to experience it! I really appreciate your kind words. Jody, your ensemble is a beautiful respite from anything in our world that is negative. You write beautifully and I love your headpiece with veil. Thank you for sharing with Hat Attack!